Libraries of Love Africa | It's more than just books. Libraries of Love Africa – It's more than just books. The purpose of Libraries of Love is to promote literacy in Africa by partnering with Africans to create libraries in individual schools, provide financial support to assist in the educational development of individuals, and address humanitarian needs in Africa. Year 15! It is a happening. Today they loaded the truck which will go from Round Rock, TX, to the port at Houston. 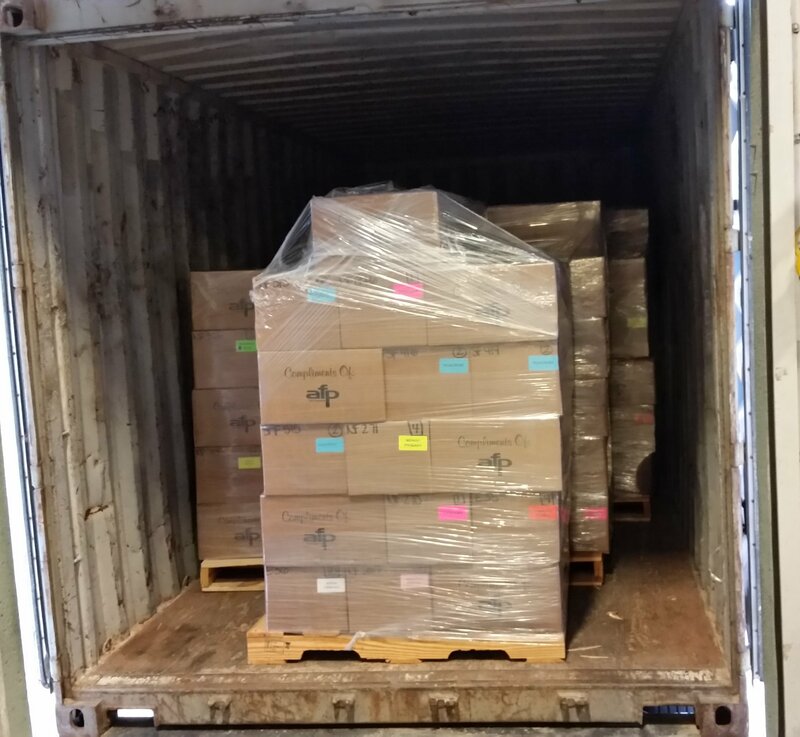 In two months, the shipment of 13,000+ new or like-new hardback books will arrive in Uganda. 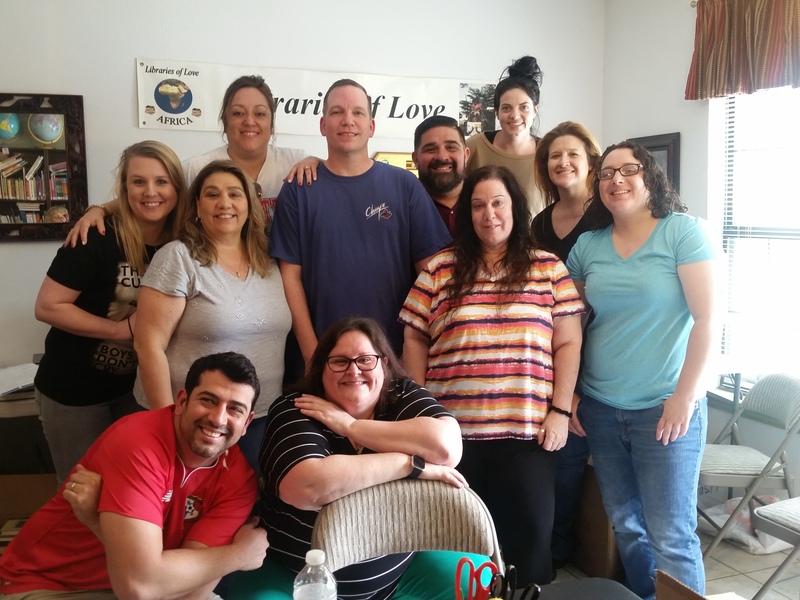 What an incredible team we have, as well as amazing donors of books and funding. God bless you one and all. Special thanks to board member Jim Matthews for overseeing the shipping. 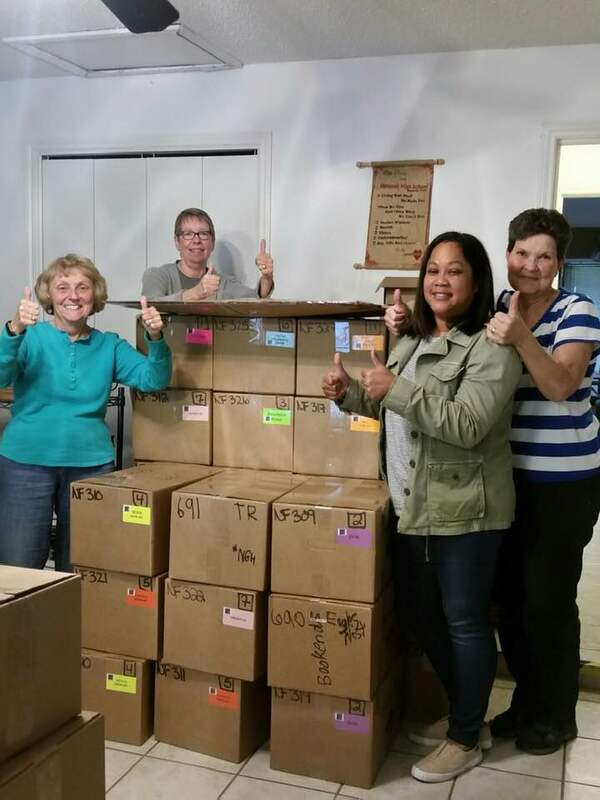 Ellen, Betty, Anna, and Paula worked all day as we start to wind up the 2019 shipment. They are the best! Today we organized Eagles Nest High School! Thanks for your work Paula, Grace, Elisa, and Peter, our new librarian. Our 2018 projects included this new library and the restocking of 12 existing libraries with 13,000 books. An all volunteer organization, Libraries of Love has created libraries in 38 schools in Uganda and 7 schools in Kenya. We are excited and proud to say that more than 100,000 students have had access to books in our libraries since the first Library of Love was created at Namirembe Primary School in Kampala in 2005. We are thankful for Mackin Educational Resources. They have supported Libraries of Love with hundreds of books each year. They provide a wonderful variety of hardback easy, fiction, and non-fiction books. 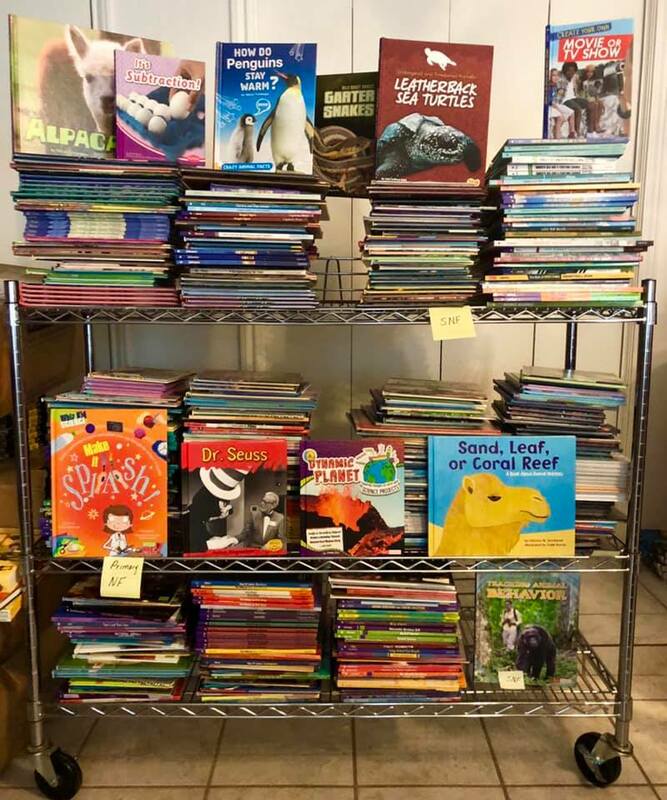 Pictured are samples of the great books donated by Coughlan Companies. We are thrilled with the donation of over 4,000 new, hardback books from this supportive publisher. Dell volunteers on March 29. Libraries of Love collects books, prepares them for checkout with pockets and cards, and ships them to Uganda and Kenya. A team of volunteers then travels to the schools to install the libraries. 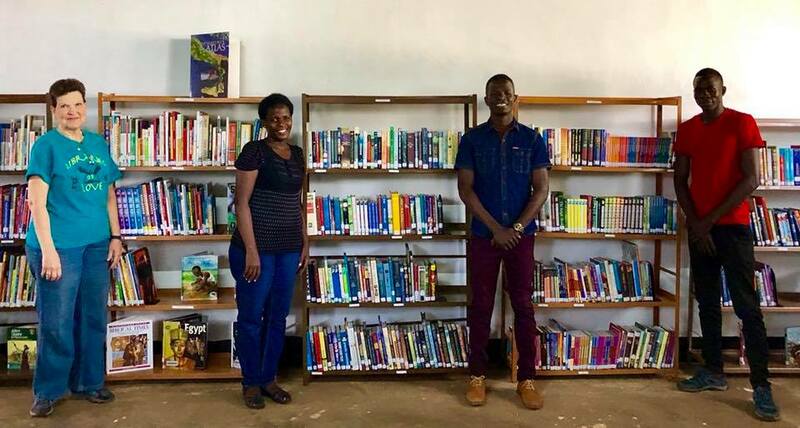 The team takes an empty room in a school and builds bookshelves, arranges thousands of books in library order and teaches teachers and students how to use the library. Libraries of Love has now shipped over 371,000 hardback books to Uganda and Kenya, complete with spine labels and pockets and card. This doesn’t include thousands of paperbacks we have enjoyed giving to young people. It is our honor to serve the young people of Uganda and Kenya. May God bless those who donated to make this possible. The partnership continues for a lifetime. You can help every step of the way. 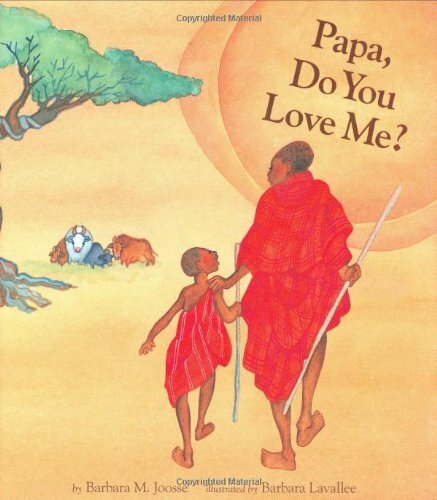 We are extremely excited about a list of books created for Libraries of Love by volunteers Jim and Ellen Matthews, almost all with African themes / settings. Many are set in Uganda or Kenya. 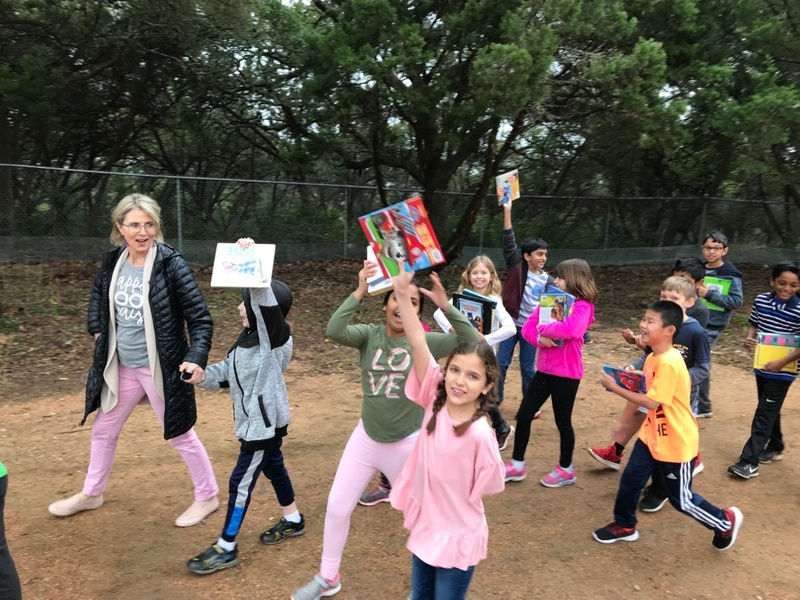 Can you imagine the big eyes as the students look at these books with familiar faces and places? You can donate books directly from the list on Amazon. 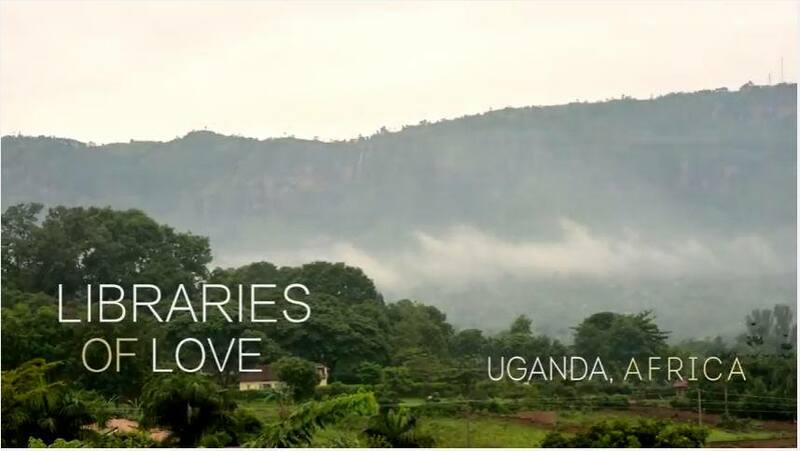 Watch a special video showing Libraries of Love at work in Uganda, funded by supporters Lynne and Anne Dobson.